I am an artist, sculptor and teacher working primarily in stone using traditional hand carving techniques. I create carvings and hand cut signs to commission for historic and contemporary settings. My background is both in fine art and in the more formal discipline of historic stone carving. Each commission is developed in discussion with the client and can be a completely new design, a reproduction of a historic piece, or a blend of these two approaches. I am also a fully qualified teacher with twenty years experience of teaching sculpture. I deliver stone carving courses and workshops for all ages and abilities. Blog: New year. New studio. 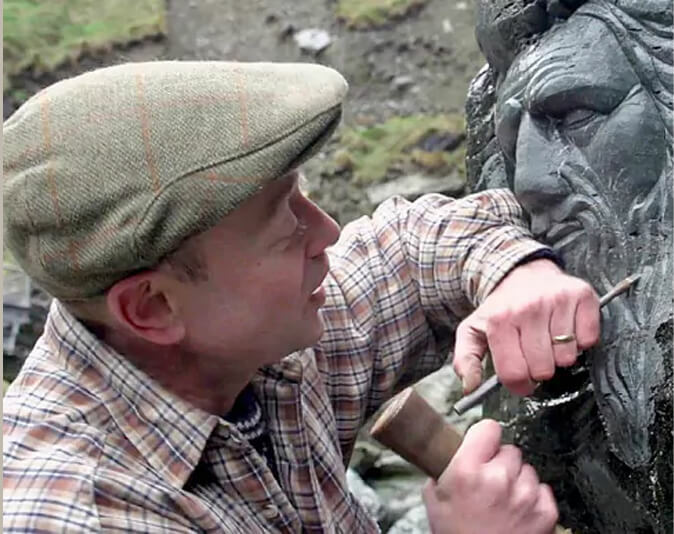 Join us for stone carving courses in mid-Cornwall. We cater for all skill levels and styles, from contemporary sculpture to lettering, gargoyles or architectural decoration.